After 7 years and 5 months that it was committed to GAP, during which it was more or less dormant, LoginPanel saw a surge in activity again. A first public release is near. With it, the "Desktop Environment" experience will begin right at the beginning. First, authentication is now possible both with PAM as with a fallback on standard UNIX /etc/passwd files. That will make the session dependent on GWorkspace and not WindowMaker, this way the "Logout" command does indeed log the user out. Also Gregory implemented a way to set a default variable at application startup so that the mini-window doesn't get drawn, this is important both at startup, when no window manager is running, as well as during execution, since loginpanel remains "frozen" in the background. More informations will come on the GAP website. GShisen is a long-existing GNUstep application written by Enrico Sersale many years ago, its claim is to be the first GNUstep game. Unfortunately, as many old application, it did not see any maintenance and updates and started to bitrot. I decided to overhaul it and import it into the GNUstep Application Project. The biggest change is that it now uses Gorm files to create the interface instead of creating it from code. This means less code to maintain. A new project was created and the makefile is now gnustep make 2.0 compliant. Once the restructuring was done, the game was ported to both Mac and Windows, as past posts on this blog document, for added fun on any platform. 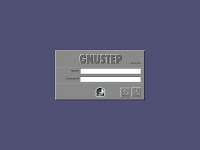 It also of course certifies again the maturity and flexibility of GNUstep on different Platforms. Note that the Mac port is completely native without the need of GNUstep at all. Version 0.3 GSPdf has been released The main feature is a Preference Panel where the user can select the GhostScript binary to use. Packagers are still encouraged to set the default path which is correct for the operating system they target to, but now for example multiple instances of GS are easily supported. GSPdf is a PDF and PostScript viewer for GNUstep, it is a backend to GhostScript.